GOLD FEATHERS. ADVENTURES, INSPIRATION, AND OTHER LOVELY THINGS. : recipe for a perfect sunday morning. 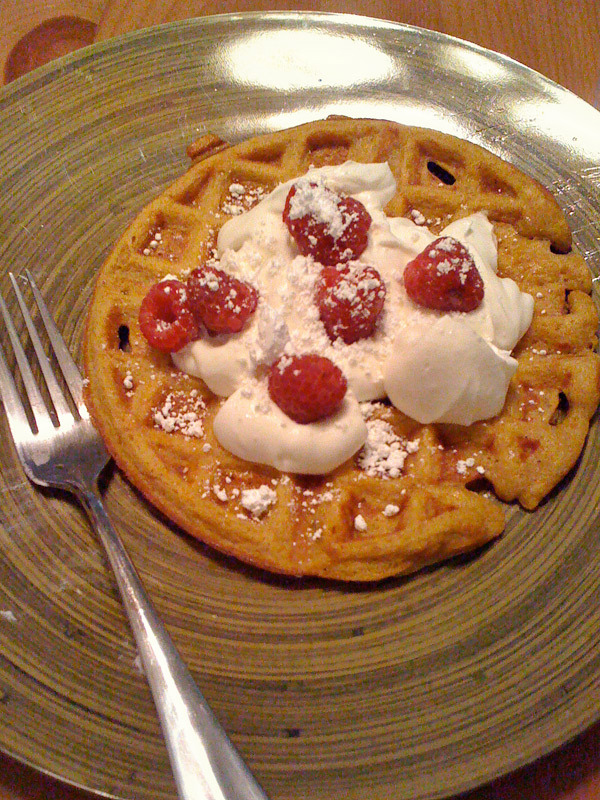 pumpkin waffles + whipped cream (whipped by hand) + raspberries + powdered sugar.